The Ministry of Agriculture in partnership with Startup India launched the Agriculture Grand Challenge. The ministry identified 12 problem statements and sought out solutions from the startup ecosystem. With over 1000 + applications from across India, after several months of mentorship workshops with over 400 Agritech startups, multiple screenings and interviews, 20 innovations were finalized. These solutions have been handpicked by senior scientists and commissioners from the Ministry of Agriculture. The purpose of the blog post is to understand these innovations and the nature of problems that they seek to resolve. Just like human beings need to get a blood test done to understand what medicines to take, our land needs to get a soil health test done so that farmers put the right amount of medicine (fertilizer) in it. Why is the right amount of fertilizer necessary for our soil? -If you put 50 kg, your plants don’t have adequate yield. -If you put 150 kg, 100 kg gets absorbed by the plant, the remaining 50 kg either finds its way into the groundwater causing contamination and risks those in surrounding areas to suffer from Nitrogen poisoning. Or, it finds its way to the ozone layer, adding to our global warming concerns. To ensure a farmer is fully aware of the right amount of fertilizer to use, soil health tests are critical. The government of India launched a soil health card program under which farmers were given free soil health cards and the cost of these tests was subsidized. However, the turnaround time for the results was more than a month in most cases, not allowing most farmers to actually implement the right amount of fertilizer usage. The Ministry of Agriculture was on the lookout for a solution which ensured that these tests were done timely and could be plugged into a larger network with ease, to ensure every farmer gets these tests done. Solutions: Soumya Rao, a young soil scientist from Bhubaneswar has created a prototype of a soil health testing kit which is capable of conducting soil health tests within minutes. The kit costs less than INR 5,000 and the Ministry of Agriculture is very keen on taking this to all the Krishi Vikas Kendras. National Agriculture Market is a virtual market with a physical market (mandi) at the back end. Electronic National Agricultural market (e-NAM) networks the existing mandis to create a unified national market for agricultural commodities for pan-India electronic trading. An important objective behind the eNAM portal is to establish quality assaying and grading systems for quality assurance. It is only once you have quality assurance, can virtual bidding of produce be a reality. Why is the online trading of foods and vegetables essential at mandis? It ensures the farmer gets the best price for their produce. Currently, farmers are at the mercy of a trader. How? If a trader tells a farmer that they will be paid INR 200 for a quintal of tomatoes, the farmer doesn’t have an option but to believe the trader or their cartel. The eNAM portal tackles the problem of information asymmetry and ensures the farmer gets the right price. Solutions: Aspire business solution and Agrics labs have come up with novel technologies which grade produce within minutes and have a high level of significance. Imagine an online portal where farmers and end consumers directly exchange money and a promise to have produce delivered to them. A portal which reduced the cost of vegetables for the consumer and gives back more to the farmer. That is the idea behind the e-marketplace model for which the Department of Agriculture and Farmer Welfare sought solutions. With more than 55% of our population engaged in Agriculture, price forecasting of farm produce is a way of giving surety to a farmer regarding their livelihood. It helps a farmer decide what she or he needs to grow. Imagine, taking up a job without knowing how much you’ll get paid. The uncertainty will be very stressful and you will always have a fear of missing out on the best available decision for you. Solutions: To solve this problem, the Ministry of Agriculture wanted to provide a service to farmers which enables better decision making with respect to which crop to grow. Additionally, it would also help policymakers establish minimum support prices. AgriApp and RandomTrees are two start-ups who have impressed the Ministry of Agriculture with some remarkable solutions for forecasting prices. They use inputs from over 100+ variables to provide real-time forecasts. India is a massive country with fragmented land holdings with farmers owning less than even half an acre of land. A massive team at the Ministry of Agriculture using an even bigger network such as Krishi Vikas Kendras, Panchayats etc. are constantly sharing information with farmers to educate them regarding best practices of growing crops, safety precautions etc. This is very critical as in certain cases new pesticides are introduced and it is absolutely necessary for a farmer to know if they can even be exposed to it. Efficient information dissemination actually becomes a matter of life and death in such cases. 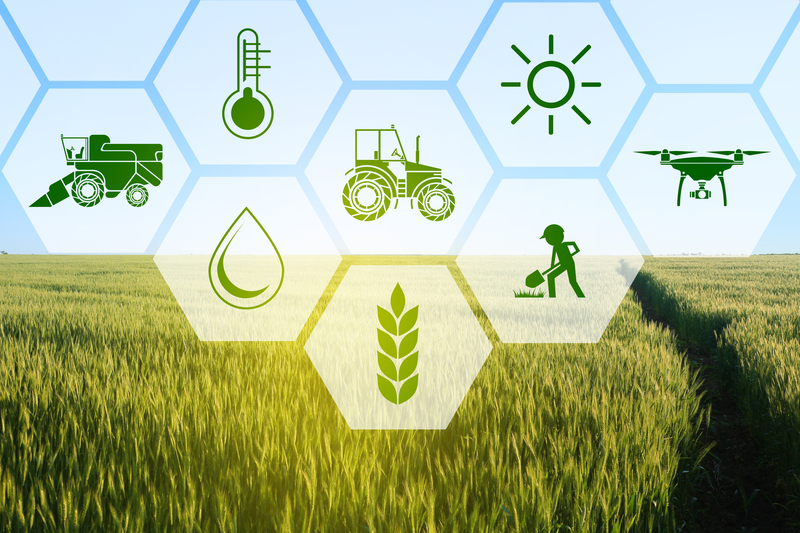 Solutions: The selected solutions from the Agriculture Grand Challenge have devised a digital agriculture convergence platform connecting everyone involved with agriculture. The platform identifies, anticipates, aggregates problems and needs, and offers them as opportunities to other players, who can solve these for their own purpose. Not only do they disseminate, but have created a system of disseminating and finding answers to these problems. Yield estimation has plenty of use cases in the Agriculture space. There is a lot that information of and around the area can do for farmers. For Example, A major reason why farmers are unable to earn insurance is the lack of information regarding the farmer’s work. Similar to how individuals get insurance based on their age, job and habits; farmland also requires specific data to help underwrite someone’s land. If one really wants to open up the insurance market for farmlands, one needs forecasting models which can estimate the yield of a piece of land. Solutions: Such BKC aggregators and SatSure Technologies have been shortlisted for demoing pilots with the Ministry of Agriculture for these problems. These start-ups use satellite data to map land parcels that help ascertain yield capability of the land for various crops. The information is useful for farmers to better plan crop management as well. In agriculture, post-harvest handling is the preliminary stage in a crop’s lifecycle which immediately follows harvest and is important to extend the marketable life of any produce. Solutions: The challenge was to seek technological solutions to increase the efficiency of the agricultural chain and ultimately reduce waste while increase farmers’ earnings. The two companies selected to solve this for the Ministry are Cool Crop and S4S technologies. Food is essential for nourishment and sustenance of life. Adulteration of food cheats the consumer and can pose a serious risk to health. Food is adulterated if its quality is lowered or affected by the addition of substances which are injurious to health or by the removal of substances which are nutritious. Solutions: To curb this issue at the source, the Ministry of Agriculture had sought ideas. The solutions finally selected are full-fledged instruments which can measure pollutants and adulterants at scale right from the source. The pilot is expected to be used for running tests at various centres across the adulteration network. As mentioned above, most Indian farms are small and fragmented. This is a major roadblock for the larger vision of having agriculture driven by mechanical power. Mechanical power is better than animal power because of its efficiency and lower long term costs. There is also an underlying drudgery associated with using animals for farming, a practice which makes farming unattractive and tiresome. To facilitate this mechanization of Indian farmers by making machines available to small/ marginal holdings as well, customer hiring centers were established. These hiring centers allow smallholding farmers to rent machinery instead of purchasing them and footing large investment costs. Solutions: The problem statement opened for Indian Startups was to conceptualize for such hiring centers. Pradwan technologies (Farmsurge) and Greenday - Kisan ki Dukan, have been shortlisted for their solutions here. They’ve both suggested interesting platforms for connecting essential resources to farmers. Insect, plant pathogen, and weed pests destroy more than 40% of all potential food production each year. This loss occurs despite the application of approximately 3 million tons of pesticide per year plus the use of a wide array of non-chemical controls, like crop rotations and biological controls. Due to the lack of effective, affordable and eco-friendly technologies to control pests, farmers are left with no choice but to continue spraying harmful and toxic pesticides on crops. Solutions: The challenge is looking for technology solutions to substitute the use of pesticides and insecticides to prevent pre-harvest losses. ATGC Robotics and Trithi robotics have been shortlisted for this. While one uses pheromones which are safe to use to get rid of pesticides, another uses cutting edge drone technology to cover large land masses with minimal cost of spraying. We look forward to how each of these gets adopted by the Ministry of Agriculture.